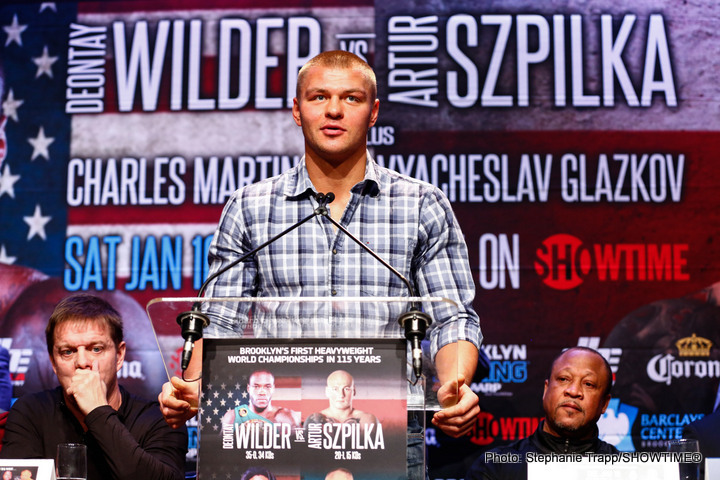 A dramatic fight week continued Thursday as WBC Heavyweight World Champion Deontay Wilder and bruising Polish contender Artur Szpilka participated inthe final press conference before they enter the ring this Saturday, January 16 live on SHOWTIME from Barclays Center. 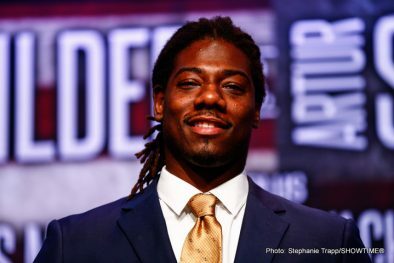 The SHOWTIME CHAMPIONSHIP BOXING® telecast begins at 10 p.m. ET/7 p.m. PT with unbeatens Charles Martin and Vyacheslav Glazkov fighting for the vacant IBF Heavyweight World Championship. 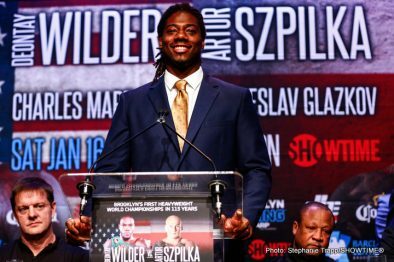 “I’m so happy to be here in the ‘Big Apple.’ It’s been over 115 years since there’s been a heavyweight title fight in Brooklyn and you’ve invited your ‘country friend’ to end that streak. “Everything has happened at the right time in my life. Even the people I’ve met in my career have come at the right time. I still think about the first time I met Lennox Lewis and he took the time out to talk to me and he showed me different techniques. I’ll never forget. 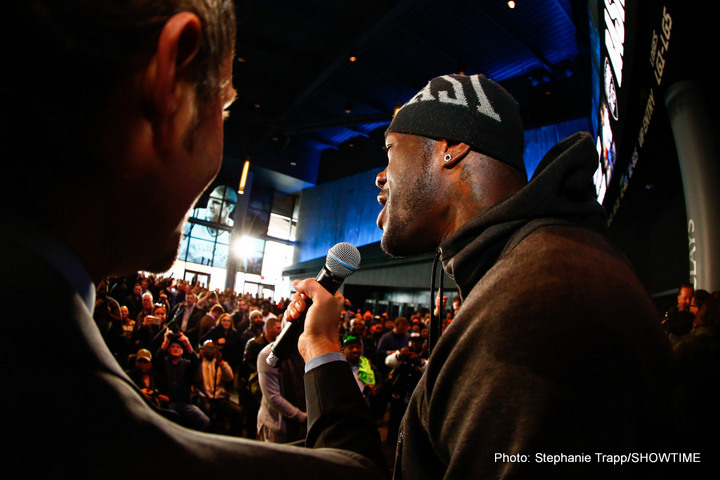 “Lennox was one of those guys that set the standard. He’s a hard act to follow. But I love a challenge. Everybody has had struggles coming up. Now my children are my motivation and that’s what has made me strong physically and mentally. 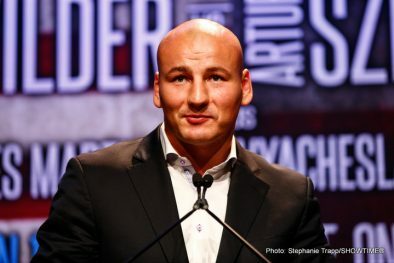 “Here we are in 2016, with a young champion trying to follow in the footsteps of a great champion to become undisputed heavyweight champion of the world. “People who know me know that if I say I’m going to do something, I’m doing it. I am hungry. I am determined. I’m not playing with anybody in 2016. I don’t say things just to sound good. My actions will speak for themselves. “This is a great card. 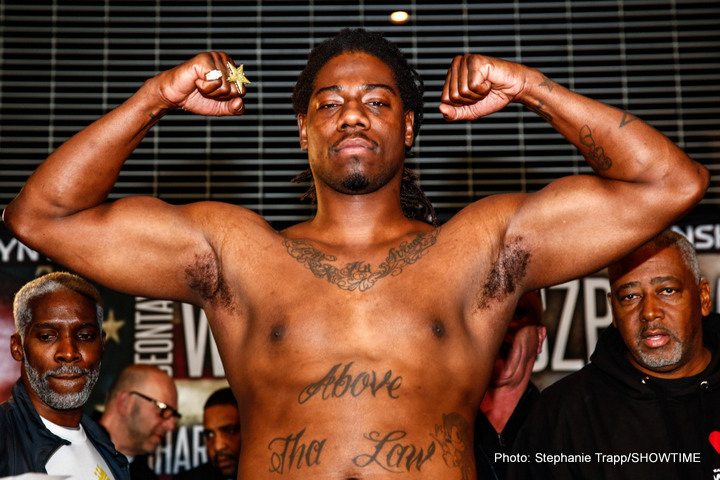 Two heavyweight title fights in one night. It doesn’t get much better than that. 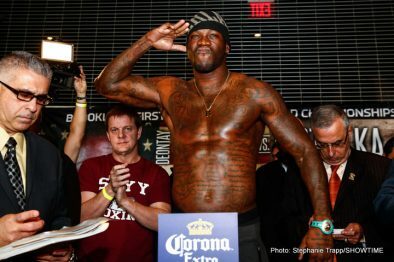 The heavyweight division is exciting again. Having someone like me, it’s only going to get better. “I take pride in what I do and what I have. I’m very honored to have the WBC belt. I even have the belt tattooed on my body. It’s not going anywhere. But there are more belts that I want. It’s going to be a long journey and a tough path to fulfill. But I’m that man. 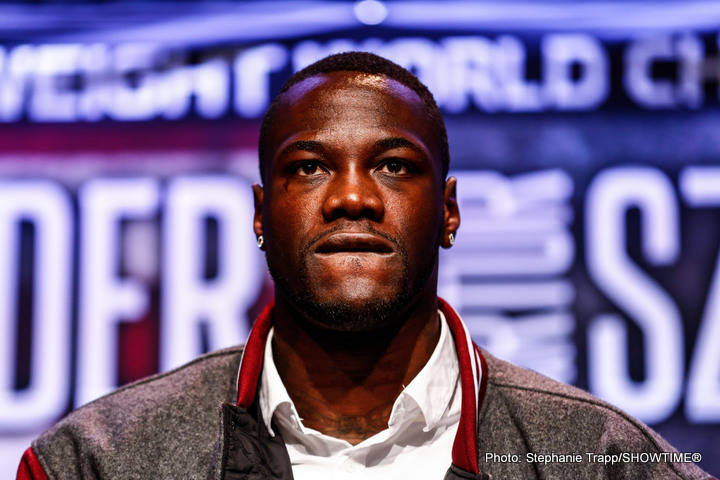 “When people say the heavyweight champion of the world, I want one person to be recognized. 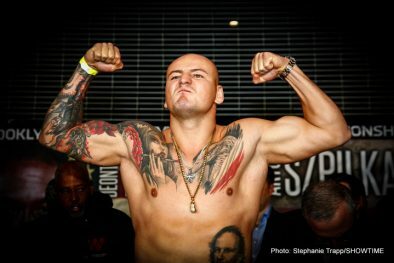 I wish my opponent and all future opponents good luck, cause they’re going to need it. 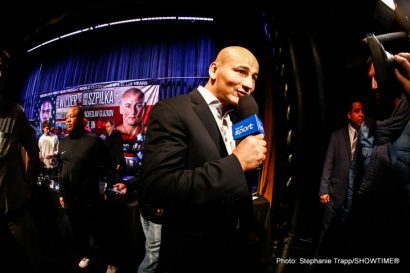 “We’re not looking past Artur Szpilka. 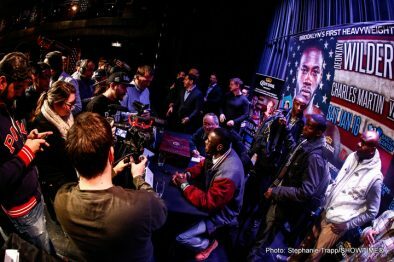 Things happen due to adrenaline and excitement, but I’m very confident about what I’m going to do on Saturday night. 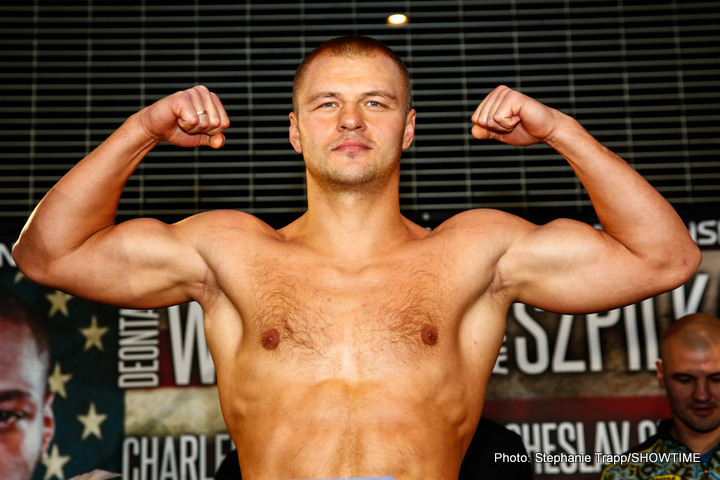 He wants to be the first Polish heavyweight champion of the world. You know he’s coming to make history. 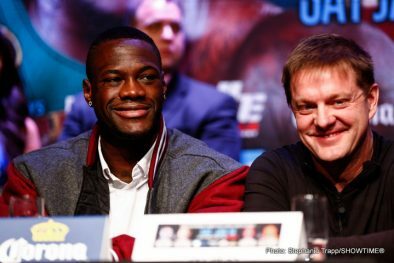 “I’m so happy to fight in front of so many great Polish fans. 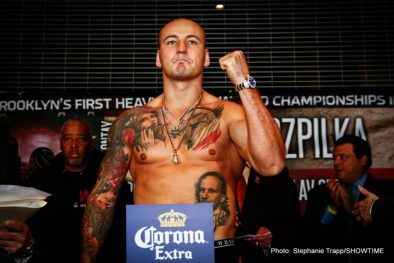 I want to be the first Polish heavyweight champion of the world. I want to do it. “There’s no pressure on me. 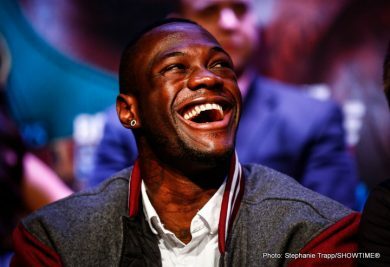 The pressure is on Deontay because I just want to be a world champion, he already is. “I’m not just here to get my paycheck. Everyone who knows me, knows I come to fight. I don’t just want to win; I want to win in spectacular fashion. “I have a bunch of friends coming in from Chicago but the next 48 hours will be mostly relaxing. I have a couple small training sessions with Ronnie (Shields) but that’s it. 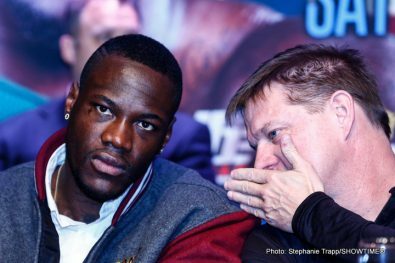 “I know you have to have a great respect for your opponent and I used to have respect for him. But after what he has said about me, I have a problem. You have to prove it in the ring. He has to do it in the ring, not outside the ring. 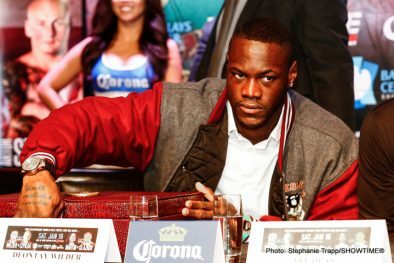 He can say whatever he wants, but we will see it in the ring. “I’m so thankful to be in this position. Everyone who put this together and got me here, I owe them everything. I want to thank my mom for making me a strong guy. We went through everything together. We’ve seen it all. “It’s starting to get real. I can feel my aggression coming out. I’m a Taurus, I’m a bull. I get mean when it’s time to fight. 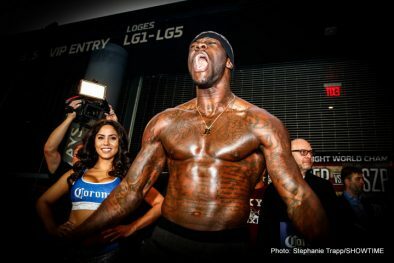 That’s what I want to bring into the ring on Saturday night. Controlled aggression. “I’m a nice person but when it’s time to go, I have an angry heart. “I train for every fight like a title fight. Mentally there was nothing to gear up for. I’m strong mentally. I’ve been running up in the mountains and doing a lot of rounds. “We’re in great shape after being in one camp for eight weeks and then taking a week off before we got back to it. It was a great training camp. “I’m happy and excited. 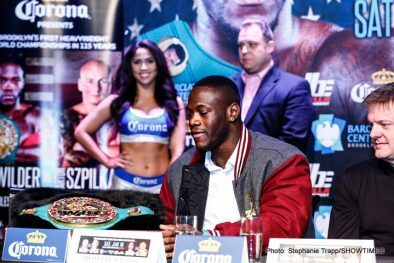 I’m looking forward to this fight on Saturday and taking what’s mine. 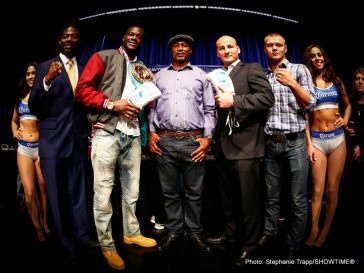 “Thank you everyone who supports me and loves boxing. This is a big opportunity for me. I’m 100 percent ready. This will be a good fight and I hope everyone is watching. “I feel good. I’ve trained very hard. I’m very ready for this fight. 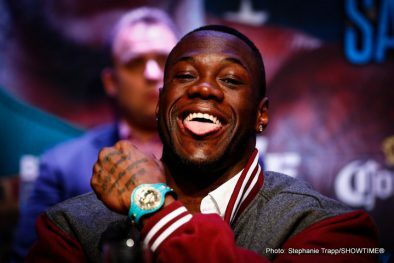 Everything is in place for me to become world champion. “Charles is a big guy. He’s a lefty but he hasn’t fought good opponents. 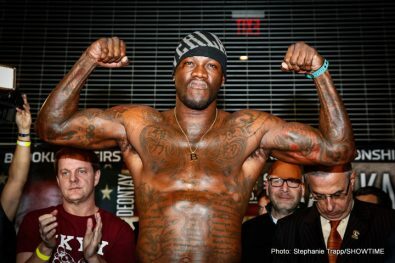 He’s a big strong guy, but it’s the heavyweight division. Everyone is strong. This will be a good fight. 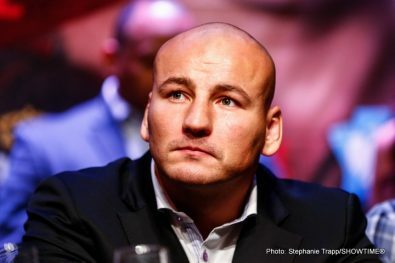 “I’m looking forward to the fights Saturday. 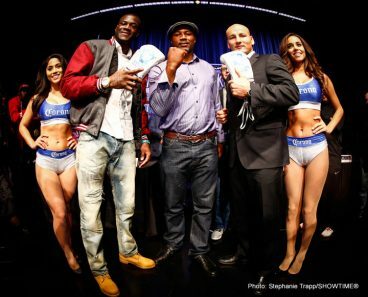 There are four great heavyweights that I’m excited to see. I’m happy that my WBC belt is looked after so well. 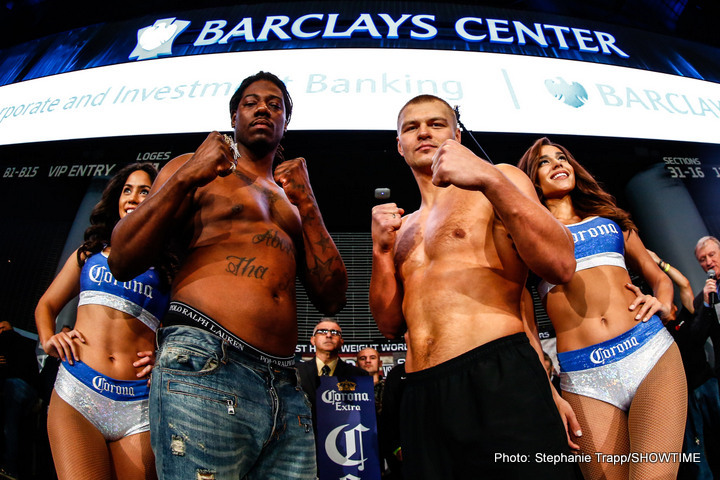 “This is going to be a huge event at Barclays Center on Saturday night. There are still some tickets available, but you better run and get them. We just opened up some more tickets today. 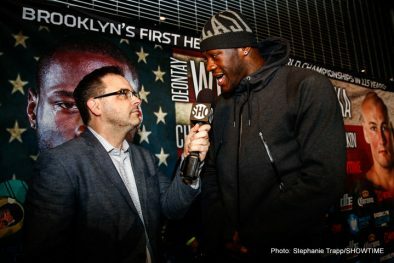 We could have a record crowd for boxing at Barclays Center and that’s the power of the heavyweight division and the power of boxing when you deliver a great product to people. “SHOWTIME Sports was born on March 10, 1986 with its first telecast of a sporting event, which happened to feature a spectacular 11th-round knockout by “Marvelous” Marvin Hagler. This is SHOWTIME’s 30th anniversary and we’ll be celebrating all year long. 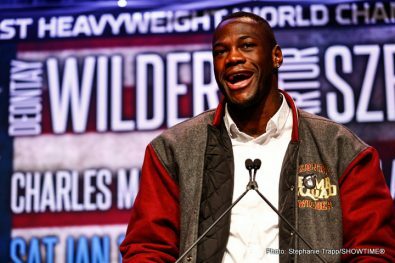 “In keeping with our heavyweight theme, we are featuring our long history with Evander Holyfield and airing some of his biggest fights. 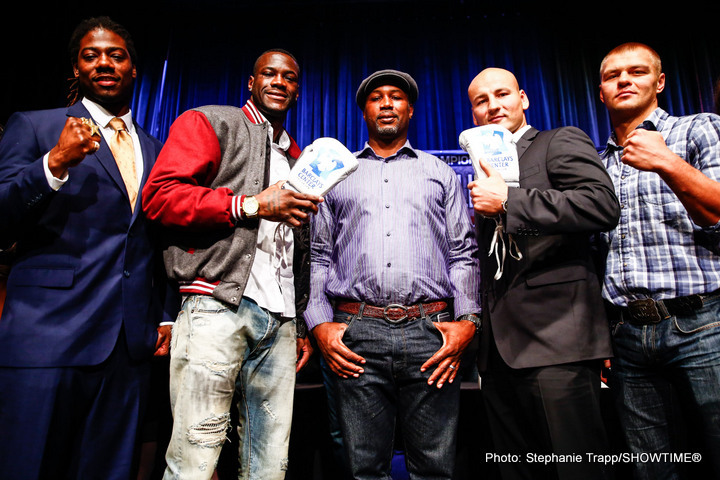 Holyfield has fought with us 18 times, the most of any other fighter. 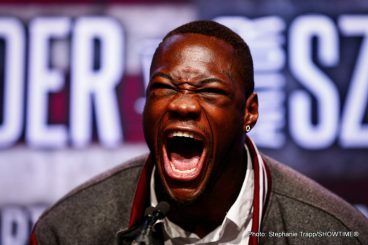 If there is a current fighter who can break that record, it’s Deontay Wilder. He’s fought eight times and we’ve seen the progression of his skills. 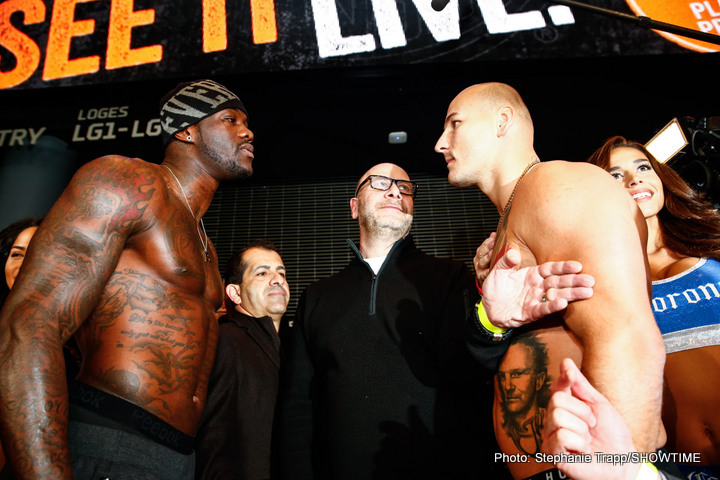 “I can’t think of a better way to kick off our year than with this doubleheader of heavyweight title fights. 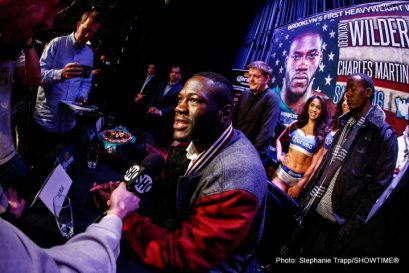 For each of these four fighters on this SHOWTIME card, Saturday night represents a lifetime of work and their dream of being heavyweight champion. 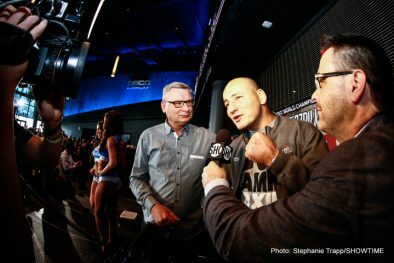 I’m convinced we’re going to have two memorable fights that will add to the great history of SHOWTIME. 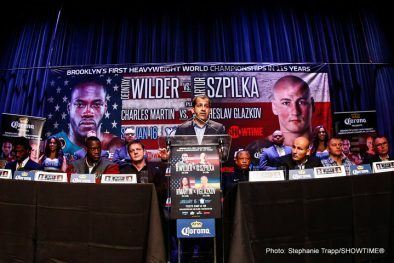 “Barclays Center is in the big event business and it doesn’t get any bigger than hosting two heavyweight world championship fights Saturday night. 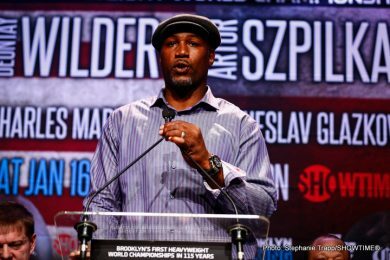 Brooklyn has a great history with heavyweights but it’s been a long time. 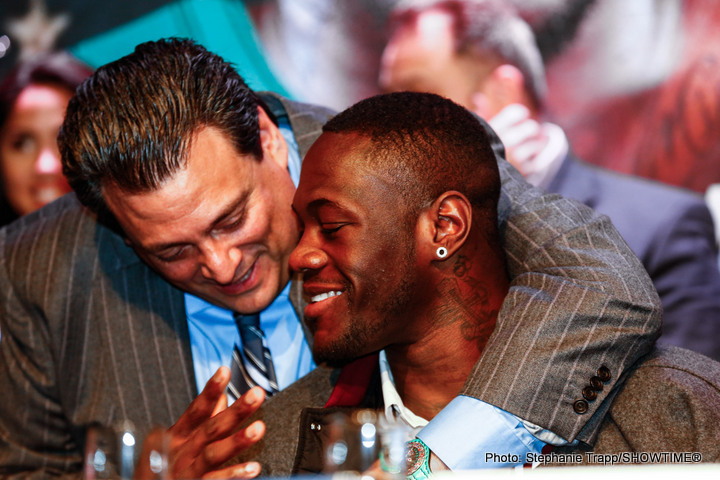 Deontay is the perfect person to bring this tradition back to Brooklyn. He’s confident, tenacious and has a big personality. He’s made to fight in Brooklyn. 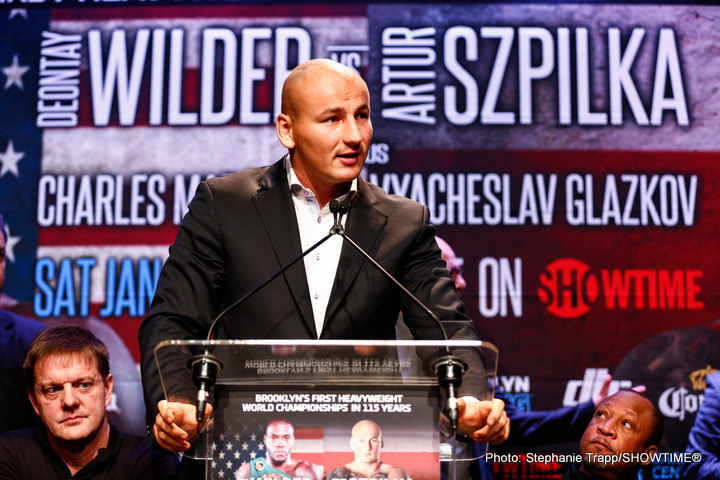 “Wilder versus Artur Szpilka is the matchup Brooklyn has been waiting for. 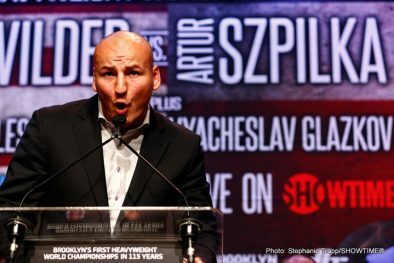 The Fort Greene section of Brooklyn has a tremendous Polish population and Artur will have a big rooting section on Saturday night.